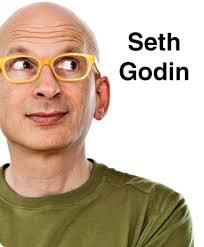 Seth has one of the most-loved marketing blogs on the internet, has penned more than a dozen bestselling books and launched a social site that attracts more than 50 million viewers per month. Yet he makes little effort to cultivate a following, preferring to be discovered virally. Really... anything he writes tends to be worthwhile.